Now might be the time to start using an indoor wheelchair. 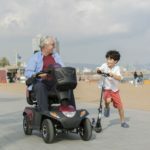 It could be that your condition has progressed so that you need one to get around at home, or you’ve noticed how difficult an outdoor wheelchair is to the indoors. Moving between your wheelchair and seats is a faff. If it’s difficult to transfer to an dining chair or a sofa, you may want to just stay in a comfy indoors wheelchair. Your outdoor wheelchair is a bit sluggish indoors. That’s because it’s casters and tyres are designed for rough surfaces rather than smooth linoleum or tiles. Upgrade to an indoor wheelchair and notice how much easier it is to get about. When shopping for a manual, indoor chair, remember to compare the chair’s dimensions with the measurements of your doorways and spaces at home. It might be tedious, but it’s better than getting a chair that just can’t be used. Of course, some powerchairs are sleek enough for home use. 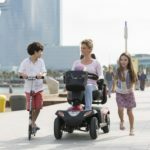 While electric wheelchairs tend to be bulkier and heavier than manual chairs, check to see if there are any lightweight ones available. Again, take measurements, and bear in mind that there will need to be space to store the chair when not in use. 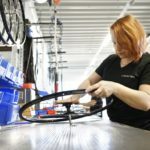 For more on the benefits of an indoor electric wheelchair, see ‘An Indoor Electric Wheelchair: Could it Change Your Way of Living’. When considering using a wheelchair at home, a little preparatory work can make the experience as smooth a ride as possible. Furniture: rearranging your furniture can make it possible to go through every room in your wheelchair. You will need a certain amount of space to get around, so make sure chairs, tables, sideboards and bookcases are pushed back. Renovations: some people have more serious renovations done to make it suitable for wheelchair use. You could have a lift fitted to travel between floors, or a ramp installed outside or between rooms. Doorway widening is also possible. 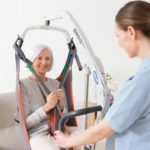 This is definitely an option for long-term wheelchair users who own their home and intend to stay in it for a long period of time before moving. Also if you need financial help, read ‘Disabled Facilities Grants: What Are They and How to get One’. For renters, some landlords will consider investing in renovations so that they can get more business from disabled tenants. However you prepare, using a wheelchair indoors can bring a great relief. 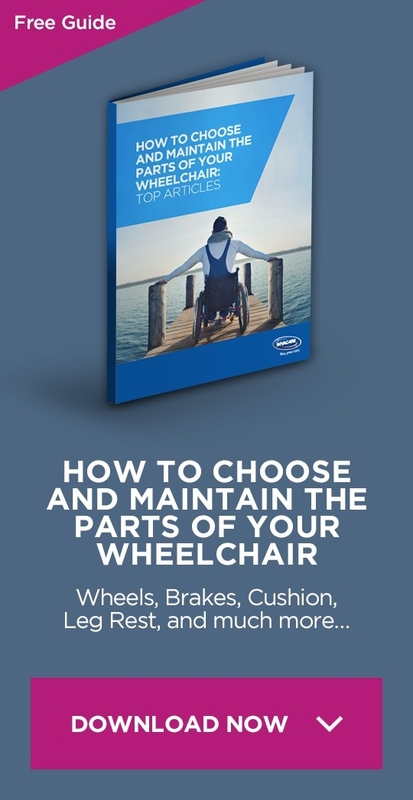 Yet choosing the right indoor wheelchair is crucial, so carry out the necessary research to get the best one for you.